While store-bought mixes are quick and easy, this homemade taco seasoning mix recipe tastes so much better! Mexican food is one of our favorites to go out for as much as we can. I love the freshly cooked chips and salsa and the usual variety of nachos, carnitas, chalupas, and the old standby, tacos. These days, though, we are trying to cook at home more in an effort to eat healthier and save money. So, when I asked Mr. Savvy what he’d like for dinner one night when we had some leftover ground beef in the fridge, he suggested tacos. 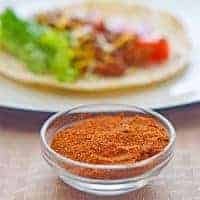 I’ve used a number of store-bought taco seasoning mixes in the past, but I often found they were a bit too salty and I would usually add in additional seasonings. That kind of defeats the purpose, doesn’t it? So, this time I thought I’d try making my own homemade taco seasoning mix recipe. The taco seasoning is pretty versatile – take out any flavors you don’t like or add more of those that you do. For instance, we like things to be a bit spicy and saltier, so I use cayenne for part of the pepper flakes and a very heaping tablespoon of salt. I use about 3 tablespoons of the mix per pound of beef, chicken or turkey and then put the rest in an air-tight container to use over the next few months. Then to make the taco filling I add about 1/2 cup of water per pound of meat once it has mostly cooked through, along with the seasoning, and let it simmer for about 10 minutes while I get all the toppings together. Recommended Equipment: Small container or jar for mixing and storing. 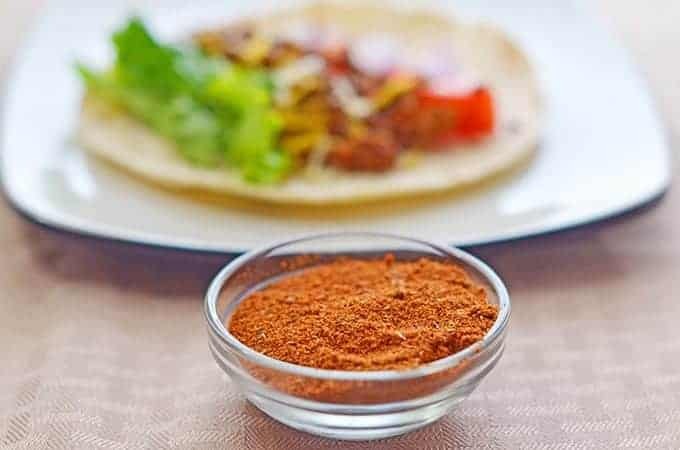 Control the salt and your favorite flavors when you make this homemade taco seasoning mix recipe versus using the packet. Place all ingredients in a small bowl or container. Whisk or shake all ingredients together until thoroughly mixed and there are no clumps. Brown desired meat for tacos (beef, chicken, turkey, etc). Mix in 3 Tablespoons of taco seasoning and 1/2 cup water per pound of meat and let simmer at least 10 minutes. Taste for seasoning, adding more taco seasoning, salt or pepper, if desired. Store taco seasoning mix leftovers in air-tight container. Mix is also great to use when seasoning meat for nachos, enchiladas, fijitas, etc. 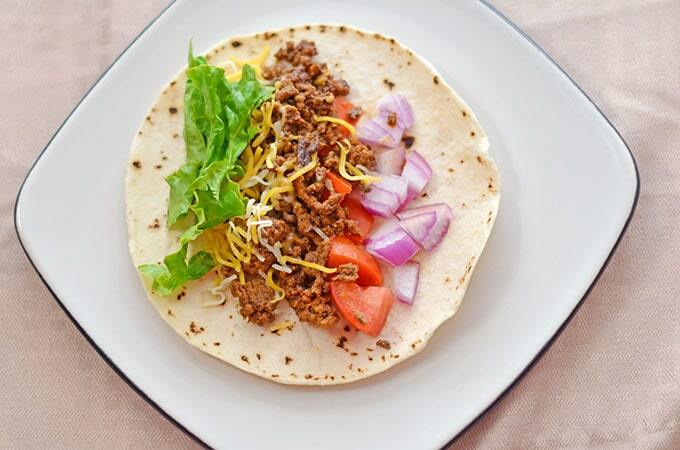 What protein will you be using this Homemade Taco Seasoning Mix Recipe for? Yum.. very nice, I like my tacos hot and spicy as well. Thanks for the recipe. oh my!! that looks delicious! I absolutely love tacos! I love making my own spice packs and rubs. Thanks for the recipe. I’ll have to try this homemade mix recipe! Perfect for our next taco night! Great recipe! We love taco night at our house. This is an amazing taco recipe! Definitely different than mine and I for sure want to try this!